Assembly Hall was designed by architect, Max Abramovitz. 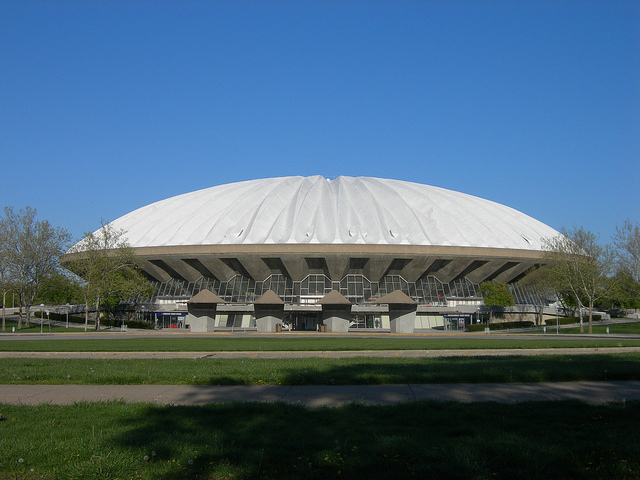 The indoor arena was completed on March 2nd, 1963 at 1800 South 1st Street in Champaign, IL. In 2013, Assembly Hall was renamed the State Farm Center. The design of Assembly Hall, by Max Abramovitz, called for the construction of one of the world's largest edge-supported structures. The building is considered an engineering marvel because of the unique method used to build the concrete roof. On April 2, 2008, the Assembly Hall was added to the annual top ten endangered Illinois historic places list, as published by Landmarks Illinois, a non-profit historic preservation group. Though from afar the building may look like a flying saucer, the strange-looking structure is actually an arena. 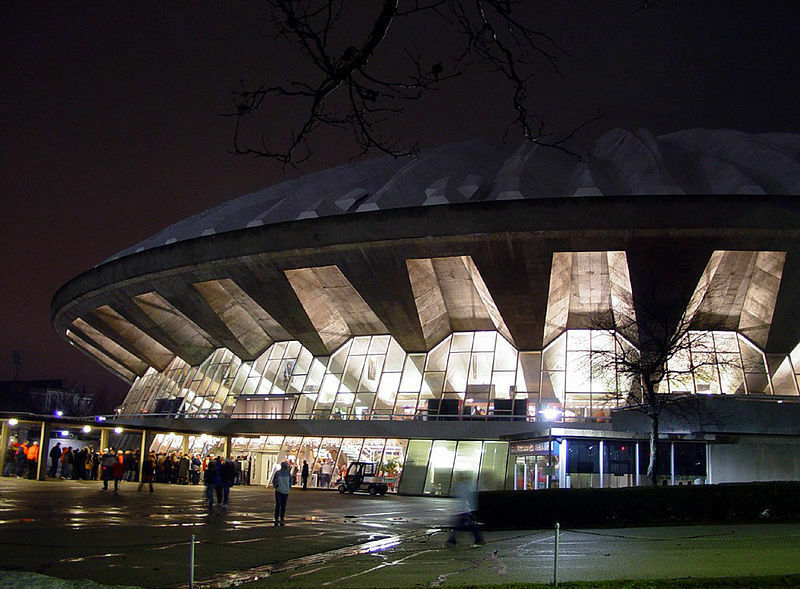 The Assembly Hall at the University of Illinois at Urbana-Champaign was built in 1963. Designed by the Modernist architect Max Abramovitz, an alumnus of the university, it seats over 16,000 in a perfect circle. The university, however, is "actively debating whether to renovate it or tear it down," reports the Chicago Tribune's Skyline blog (Biemiller). This debate started mainly because of the lack of elevators, escalators and revenue-producing skyboxes. In April, 2013, the name of this building was renamed to "State Farm Center." According to the Big Ten Network, "The name change is part of a 30-year, $60-million agreement [with State Farm insurance] that coincides with the arena undergoing a major renovation project that is scheduled for completion in the fall of 2016" (BTN.com). The building was intended to host athletic events such as University of Illinois men's basketball team, women's basketball team, numerous concerts and ceremonies. Assembly Hall is a large dome-shaped indoor arena. "When its total resources are utilized, the Assembly Hall is ideal for many types of sports events and provides a superb setting for large convocations and commencement exercises. It also has been used successfully for such large-scale entertainments as ice shows, ballets, and big musical productions. One section of the Assembly Hall can be used as a theatre seating 4,200" (Weller). Harrison & Abramovitz was an American architectural firm based in New York and active from 1941 through 1976, a partnership of Wallace Harrison and Max Abramovitz. They were best known for the modernist towers on the east coast and some midwestern cities. "One notable stylistic innovation was the use of stamped metal panels on the facade" (Harrison & Abramovitz). Max Abramovitz graduated in 1929 from the University of Illinois School of Architecture. He later received an M.S. from Columbia University's architecture school in 1931. He also was the recipient of a two-year fellowship at the Ecole de Beaux-Arts in Paris before returning to the US and becoming partners with Wallace Harrison from 1941-1976. In 1961, he won the Rome Prize, which is an American award made annually by the American Academy in Rome, through a national competition, to 15 emerging artists and to 15 scholars. Ziyu Chen, Param J. Shah, and Longhuan Xu, “Assembly Hall,” ExploreCU, accessed April 20, 2019, https://explorecu.org/items/show/268. "Construction of Assembly Hall (Champaign)" Wikipedia. N.p.,15 November 2013. Web. 17 Nov 2013. "State Farm Center." Wikipedia. N.p.,11 November 2013. Web. 17 Nov 2013. BTN.com. 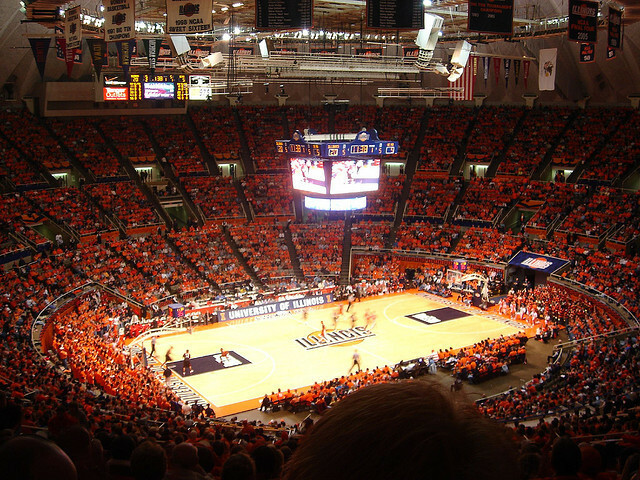 "Illinois' Assembly Hall to be State Farm Center." Big Ten Network, 29 Apr 2013. Web. 17 Nov 2013. "Harrison & Abramovitz." Wikipedia. N.p., 10 Jan 2013. Web. 17 Nov 2013. Biemiller, Lawrence. 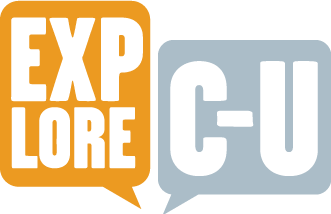 "U. 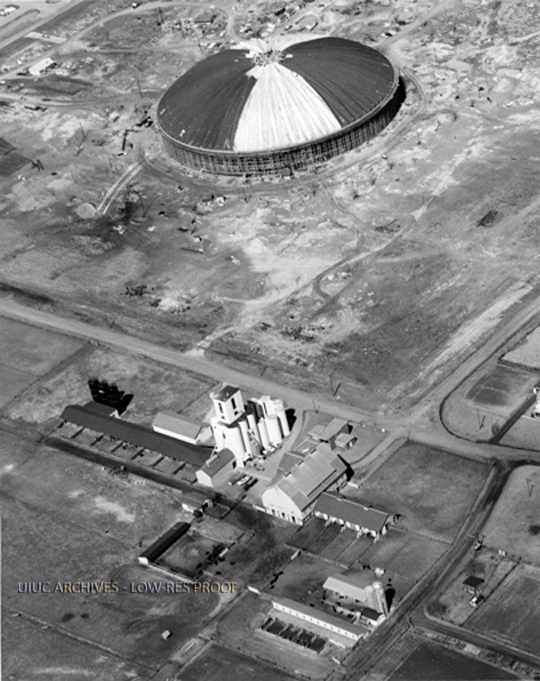 Of Illinois Debates Fate Of 'Flying Saucer' Arena." Chronicle Of Higher Education 54.32 (2008): A33. Academic Search Premier. Web. 17 Nov. 2013. Weller, Allen S. 100 Years of Campus Architecture. University of Illinois Press, 1968. Print.